Russian Security Council Secretary Nikolai Patrushev decorated Chief of Azerbaijan’s presidential staff Ramiz Mehdiyev with the Order of Honor on Wednesday on the sidelines of 9th International Meeting of High Representatives for Security Issues, Russian Security Council’s Spokesman Yevgeny Anoshin said. 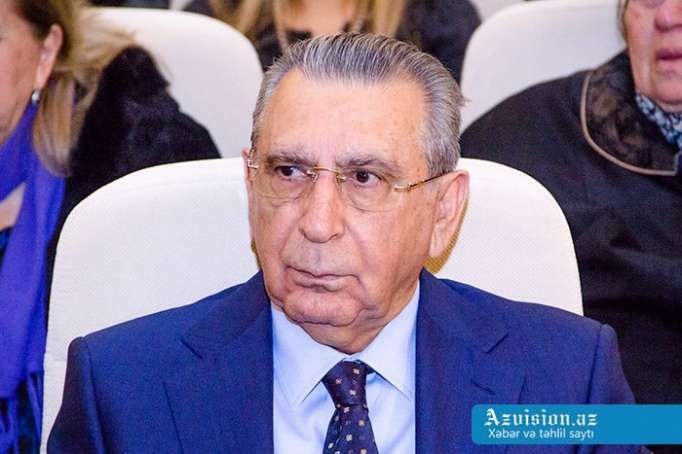 "During his meeting with the chief of presidential staff of the Republic of Azerbaijan, Nikolai Patrushev presented Ramiz Mehdiyev with the Order of Honor awarded by Russia’s president," TASS cited Anoshin as saying. The spokesman added that apart from that, Patrushev held talks with Kyrgyzstan’s Security Council Secretary Damir Sagynbayev. The two officials "discussed a wide range of Russian-Kyrgyz relations. Another meeting was with Uzbekistan’s Security Council Secretary Viktor Makhmudov, who focused on security interaction between Russia and his country during talks with Patrushev, Anoshin noted.